Become more mature and self-confident as you learn the skills to succeed in unfamiliar environments and enjoy adapting to new places. Earn academic credit that will help you progress toward your graduation while experiencing a new environment. Get an international experience beyond a superficial tourist experience. Understand how culture guides values and behaviors and learn to respect different cultures. Understand your academic major from an international perspective and how your intended career is related to increasingly global issues, co-workers, clients, customers, etc. Practice intercultural competencies that enhance your career and social relationships. Add something extra to your resume which will make you more appealing to employers. Enhance your career opportunities with a second or third language which is so valuable to the future of our workforce. All college students are encouraged to study abroad! No matter what your academic major is, or your career goals, study abroad is relevant to all students. What credit will I earn on study abroad? Study abroad allows you to earn college academic credit for courses taken while abroad, IF courses are pre-approved before you participate in a program. From accredited institutions, academic credit should transfer the same as taking college courses at another institution in the U.S. and adding it to your degree requirements. The earliest students are eligible to study abroad is the Summer after two successful semesters on campus. 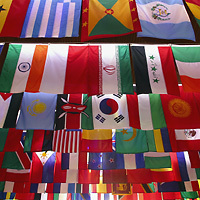 It is common for students to study abroad during either Sophomore or Junior years. A student should plan to study abroad no later than first semester of the Senior year. Your decision of “where” to study abroad should be based on several important questions. Where can I take courses I can use toward my degree (general ed. requirements and/or major)? Am I more comfortable living “day-in and day-out” in a major capitol city, a smaller city, or a rural environment? Is it safe and/or practical to study in a country for which I do not speak the language fluently? The Study Abroad Office welcomes student inquiries about comparing and contrasting Study Abroad options, which includes program and living costs. Advertised program prices are not commonly listed as a comprehensive cost of participation. Thus, it is critical that students “read the fine print” in promotions about Study Abroad programs and understand “What is Included” and “What is NOT Included” in an advertised program price. It is often the case that what is not listed in a program price can change the semester expenses significantly. Be sure to know what costs are commonly incurred during a Study Abroad program and ask specific questions of the program sponsor if the program budget items are not listed on the website or printed materials for a specific program. Do not assume that you are (or are not) eligible for financial aid. Explore financial aid options. Whether you are currently eligible for financial aid at AAMU or not. 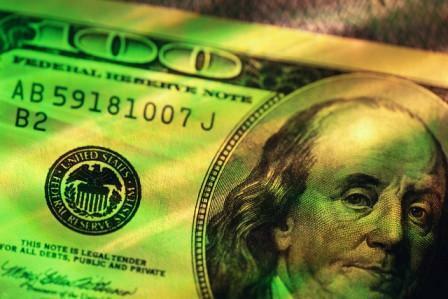 There are additional costs related to Study Abroad and alternative financial aid resources specifically for Study Abroad that may change your eligibility. Financial aid sources come from a) federal student grants, b) federal student loans, c) private student loans, d) scholarships, e) program discounts, f) family and friends, and g) many other sources.